This is a salt-glazed stoneware beer stein manufactured by The Cherokee Brewery located in St. Louis, MO in 1890. 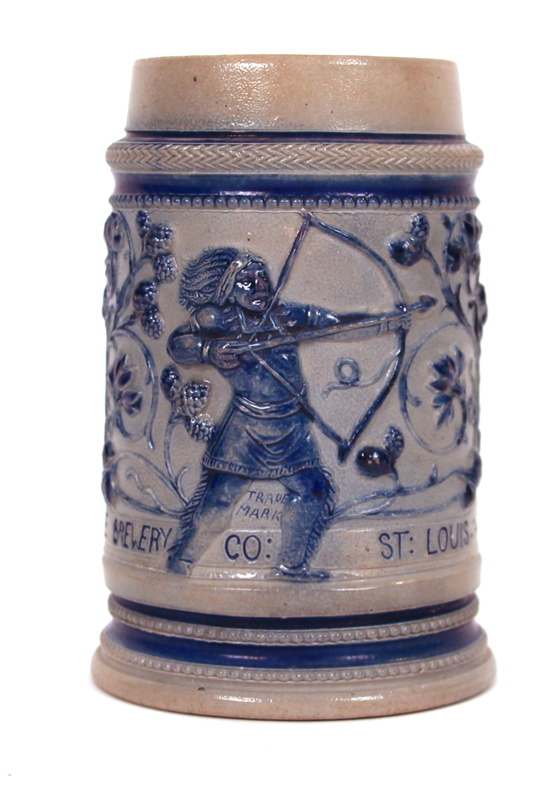 The dark blue and grey beer stein features its trademark Native American Indian shooting with a bow and arrow. This antique relic stands 5” tall and 3” wide at the base. 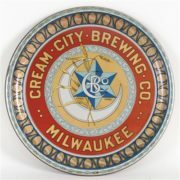 The company name and location, Cherokee Brewery Co. St. Louis, is also incised on the piece. The mug was designed specifically for a public promotional campaign implemented by The Cherokee Brewery. 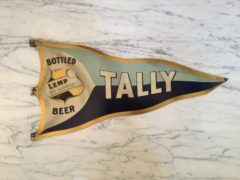 As part of the campaign, consumers purchased the beer mug by mailing in $1.25 and they would get the stein shipped directly to them. The company advertised the campaign in saloons and in print advertisements. They sold thousands of the mugs and gained more notoriety as a result of the promotion. The mug also came in a larger version that was given to saloon owners as a gift for selling Cherokee Beer. There is another collectible beer stein from the Cherokee Brewery that featured “Cherokee Gardens”. These black enameled stone mugs were used by patrons at the company’s beer garden located just outside the brewery at Cherokee and Iowa streets in south St. Louis. These steins are more difficult to find because they were not part of a public advertising campaign. 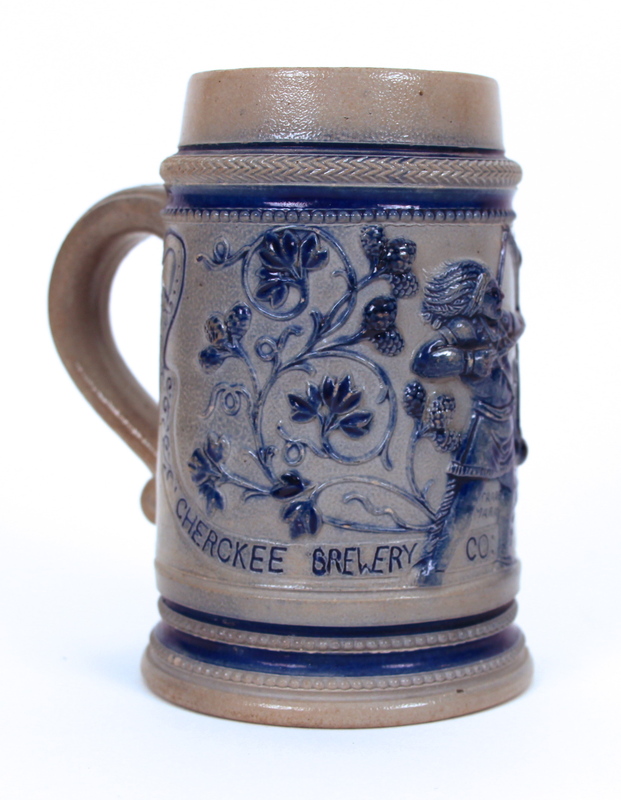 Most of the Cherokee Brewery promotional beer steins can still be found in good condition today. 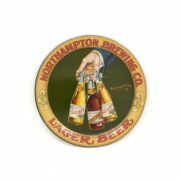 They are considered valuable by Breweriana collectors and represent a successful brewery of its time. 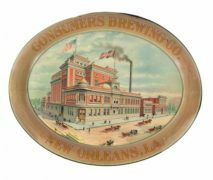 The Cherokee Brewery Company was established in 1866 by the Meier brothers on Cherokee Street at Iowa Avenue in St. Louis, Missouri. 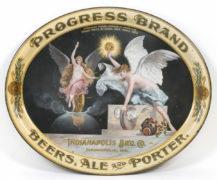 Ferdinand Herold and George Loebs purchased the brewery the next year in 1867. 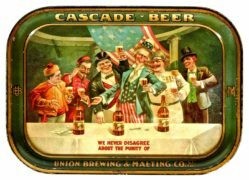 The brewery achieved much success and had a well-known reputation under their ownership. Loeb served as plant manager and after the company was incorporated in 1877, he became company secretary. Herold served as president and treasurer. Leo Rassieur was a business director leading the brewery’s saloon, beer garden and office located nearby on Chestnut Street. 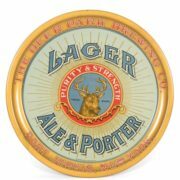 Cherokee Brewery produced bottled lager beer, ale and porter. In 1883, Herold bought Loebs’ share of the business and became president of the company. The next two years, the brewery was awarded the Grand Gold Medal at the Great St. Louis Fair. 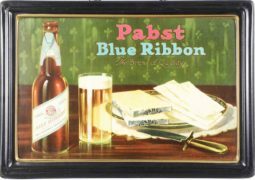 By 1885, the brewery covered the entire block between Ohio and Iowa and was producing over eighteen thousand barrels. 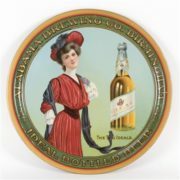 Like other breweries, the Herold’s sold out to the St. Louis Brewing Association (SLBA) syndicate in 1889. The SLBA closed many over the next couple decades, and the Cherokee Brewery branch closed in 1899.